PAAM began 100 years ago as a partnership between artists and business people, a collaboration which has only strengthened over the years. Situated in a unique town where the businesses support the arts and vice versa, PAAM's relationship with local businesses is reciprocal. PAAM depends on the support that businesses contribute, and PAAM's exhibitions and programs draw about 40,000 visitors to the community each year. PAAM relies on vital partnerships with the business community to provide a foundation of operating, special event, and exhibition support. This type of support includes various ways to give besides monetary gifts: office equipment, art supplies, accommodations, food, wine, advertising, as well as expertise in accounting, legal, event planning, catering, and staff training. If your business would like to collaborate or support PAAM, please consider joining the more than 60 businesses who have supported PAAM during this centennial year. PAAM welcomes and solicits businesses to underwrite this popular event, which allows all guests to visit exhibitions for free on Fridays after 5pm. PAAM recognizes the business sponsors who underwrite this program on a banner at the front door, where the business logos are clear for all the guests to see. 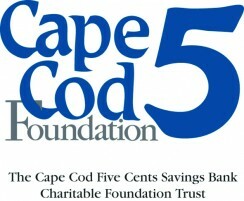 Each year, several businesses help to underwrite expenses for the annual Gala. PAAM recognizes these business sponsorships on the invitations, in the commemorative Gala program and on the PAAM website with links to their own websites. Land’s End Inn was built in 1904 by Charles Lothrop Higgins, a haberdasher on Newbury Street who was a founding Board member of PAAM in 1914. 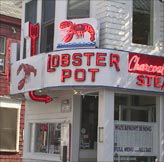 Stan and Eva Sikorski, art lovers and current owners of Land’s End Inn, are continuing his tradition of support for Provincetown’s creative community. In honor of PAAM’s centennial celebration, Stan and Eva generously sponsored the community-wide celebration The Holiday Party at Land’s End Inn to benefit PAAM. Nearly 800 outer Cape Cod residents attended the event, and over 60 businesses followed the Sikorski’s lead by contributing goods and services. Community leadership and creative partnership at its best! Since 2002, Marc by Marc Jacobs has supported PAAM by doing what they do best: creating designer clothes and selling them at a profit. Over the years, they have designed 10 different PAAM t-shirts, which they sold in stores across the world. Proceeds from the t-shirt sales and the book Time in Town all have benefitted PAAM. Over the past several years, Neal Balkowitsch and his team have helped to create extraordinary events at PAAM. 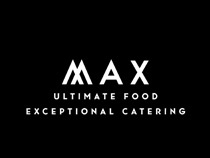 MAX Ultimate Foods’ contributions to PAAM’s annual Gala reach beyond excellent meals and service. 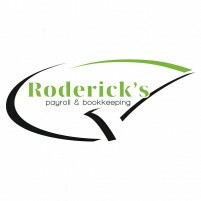 They help to assure the Gala’s success by also being its biggest sponsor. In 2013/14, Sametz Blackstone Associates, Boston, collaborated with PAAM on planning, designing, and developing a new website to coincide with the Centennial celebration in 2014. Special thanks to Joerg Dressler for donating the overall design and Brandon C. Walsh for donating the information architecture work. Seamen’s Bank is PAAM’s most enduring business partner. Seamen’s was literally there at PAAM’s founding as the bank’s then president William Young became PAAM’s first president. And the partnership has only strengthened over the past century. Seamen’s Bank continues their annual operating support and was the sole sponsor of PAAM’s Centennial Kick-Off Party, which over 400 members attended.